So today I have a fun 3D paper craft project to share with you that I created using my Silhouette Cameo. My husband and I have some friends who are expecting a baby girl soon and I wanted to make something special and do a little more then a card. 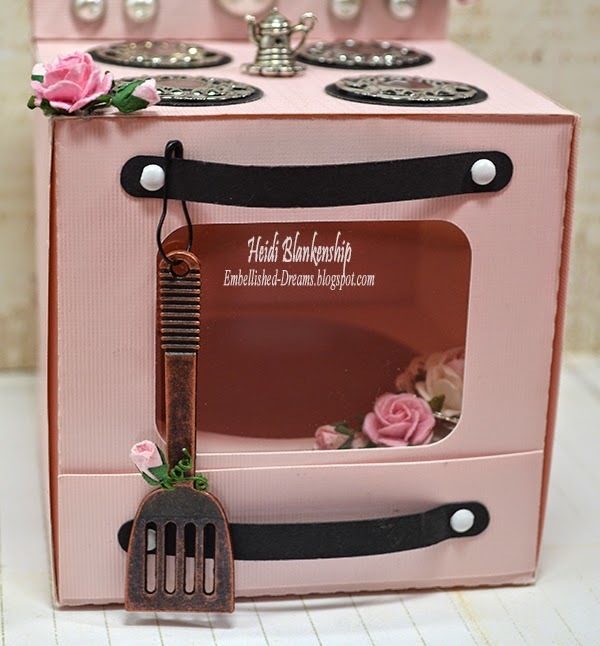 When I found the 3d lori whitlock oven cupcake box in the Silhouette Online Store I knew exactly what I wanted to do with it--a bun in the oven--LOL! I also knew that I had some great charms and metal filigree pieces from ButterBeeScraps that would be a perfect match with the little oven. 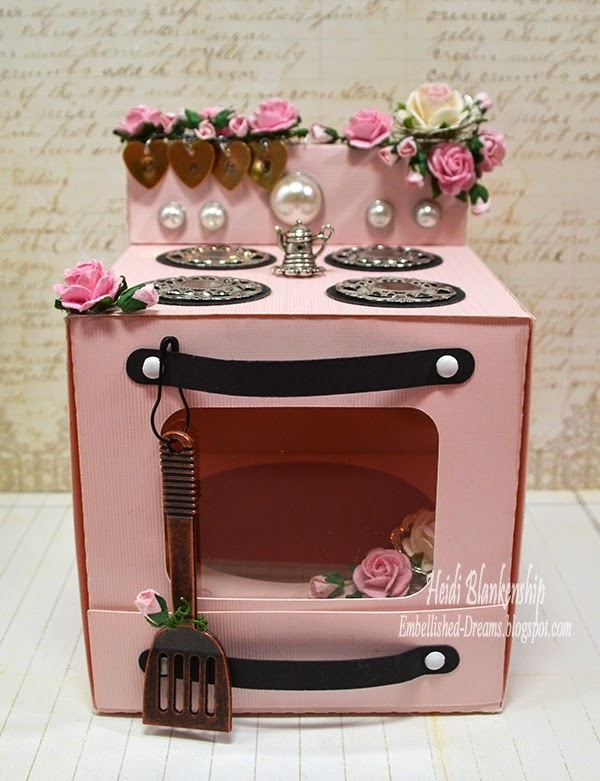 Here is the 3D oven that I designed using the 3d lori whitlock oven cupcake box cut file designed by Lori Whitlock. I love Lori's cut files! She has the cutest files and what I really love is she also does YouTube videos for a lot of her cut files so you know exactly how to create the projects. She walks you through everything step-by-step. I put the oven together while I watched the video. The oven is supposed to be a cupcake box but I thought it would be perfect for a bun in the oven and it's a pink oven LOL! I used pink and black cardstocks and a small piece of acetate for the window in the oven. On the handles I used small white brads and for the nobs I used larger white pearl brads. 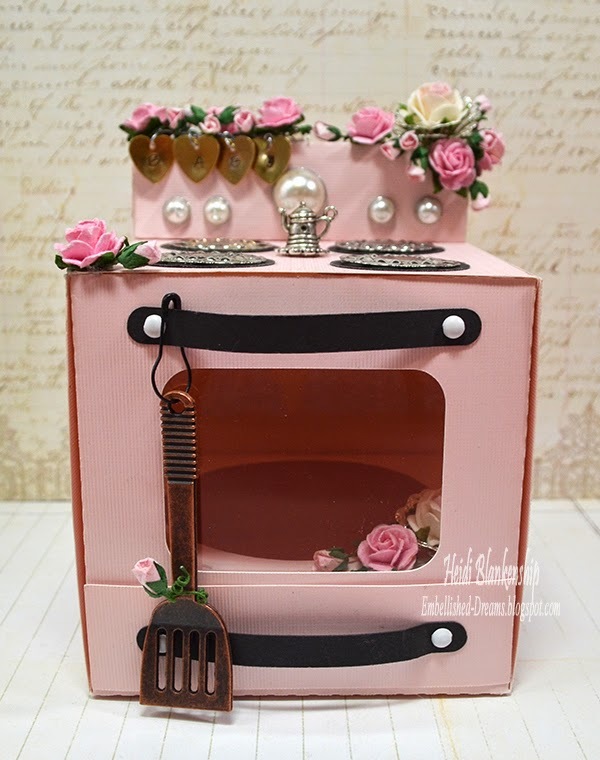 After I made the oven I embellished it with several filigree pieces and charms from ButterBeeScraps. Here is a filigree and flower cluster that I added in the top right corner. 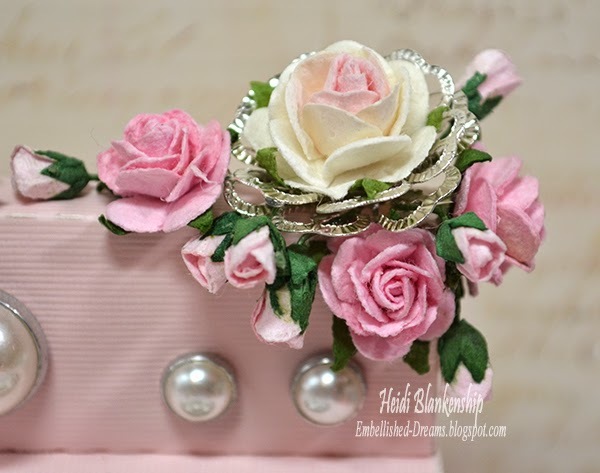 I used two Silver Filigree Embellishment (Item #834) pieces to shape around the larger white and pink rose. Then I added more pink roses in a couple of different sizes. All of the flowers are from Wild Orchid Crafts. 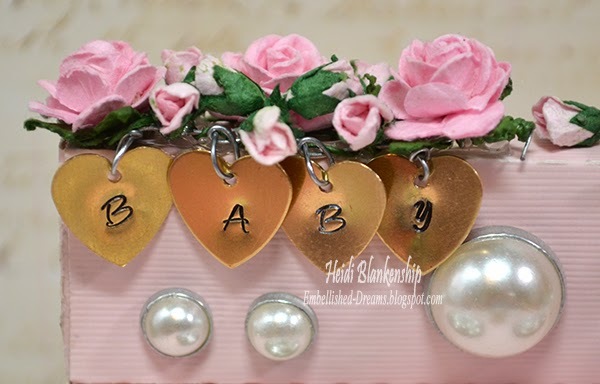 For the left corner I added some Small Gold Heart Tag Charms (Item #M581-BS) and I used ImpressArt® Metal Stamps for the word Baby. I colored over the letters with a Sharpie marker and then I used a cotton ball with a little bit of rubbing alcohol to rub off the excess marker. I also added a few more flowers from Wild Orchid Crafts. For the burners I used Round Silver Filigree (378-P). 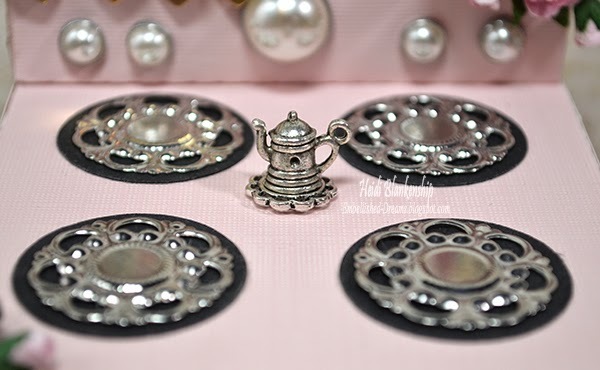 Then I added a Antique Silver Cabochon Settings (Item #115-S) that looks like a little hot plate and then the tea pot charm from the Too many Cooks Charm Collection. I just love how this part turned out LOL--it's like the pieces were perfect for the oven! Here is a close up of one of the burners. I also used the spatula from the Too many Cooks Charm Collection. I wrapped one of the tine rose buds around it and hung it on the handle using one of the Black Safety Pins. Here you can see the inside of the oven. 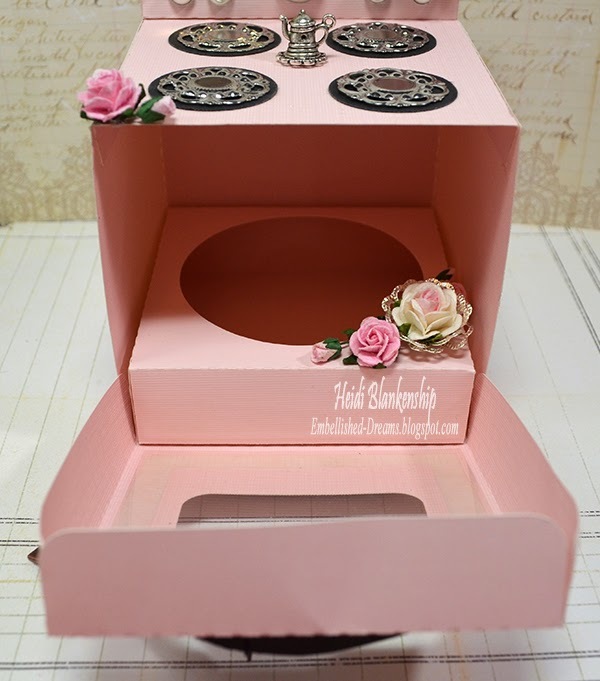 There is a little box for a cupcake or a bun and I added another small flower cluster in the front corner. Thanks so much for stopping by today! 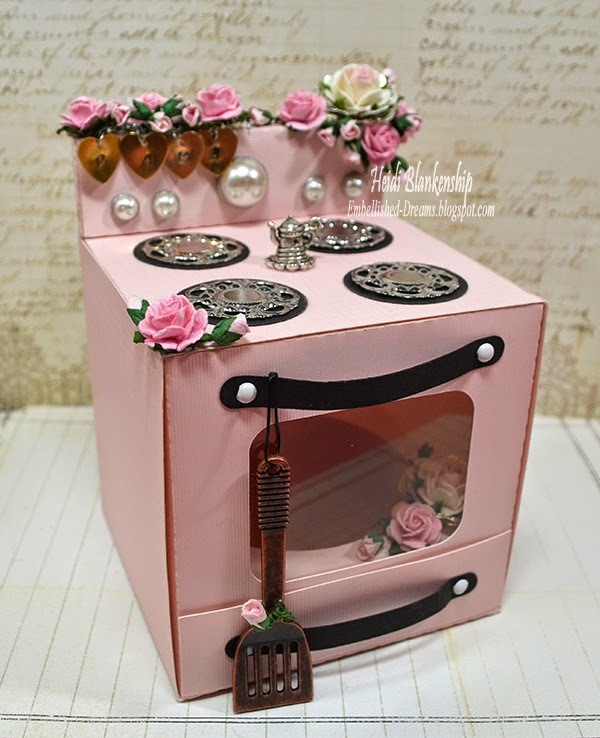 I hope you had as much fun checking out all the pictures as I did designing this pretty pink little oven. Hello and Happy Memorial Day! 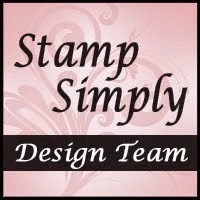 Today, is my day to post for The Stamp Simply Ribbon Store and I have a pretty little shape card to share with you. Here is the card I designed. 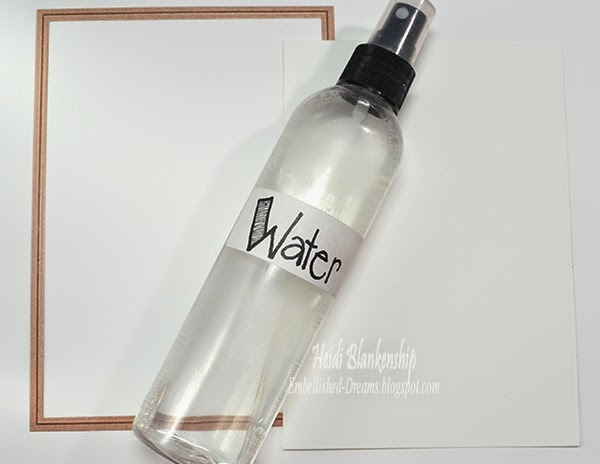 To start I used the largest die template in the S4-421 Majestic Labels One from Spellbinders Paper Arts® to cut the shape card using snow cone paper. Then I cut another piece using simply smooth white cardstock and the same die as the shape card along with one of the insert pieces to cut all of the detail. I adhered those to pieces together using EZ Runner® Permanent Strips-Refillable Dispenser 49' from Scrapbook Adhesives by 3L®. By doing these steps this allows you to see the blue behind the white. Next I cut/embossed a S4-161 Labels One shape and the S2-069 Outrageous Butterfly. I used 3D Foam Squares to add the label shape. For the butterfly I applied Tombow Mono Multi Liquid Glue and then added Tim Holtz Clear Rock Candy Distress Glitter and some Melissa Frances White Pearls for the body. Here is a close up of the butterfly. I love all of the sparkle! I also added a few pink Prima Abbey Flowers. for the sentiment I used one of the stamps from the JustRite® Papercraft CR-03815 Large Fancy Sentiments clear stamp set. I hope you enjoyed this pretty little shape card today. Have a wonderful holiday and remember those who made all the sacrifices for our freedoms!! 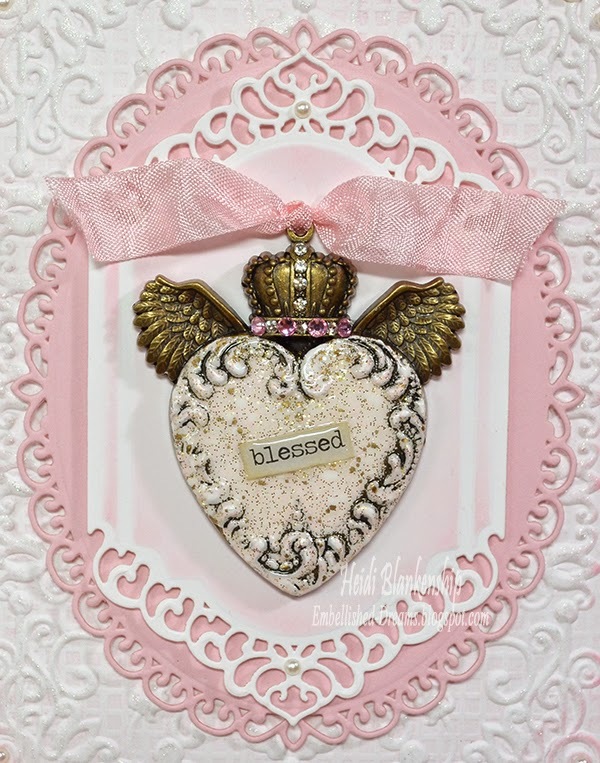 Guest Designer on the Spellbinders Blog and a Sweet Giveaway! Hello everyone! 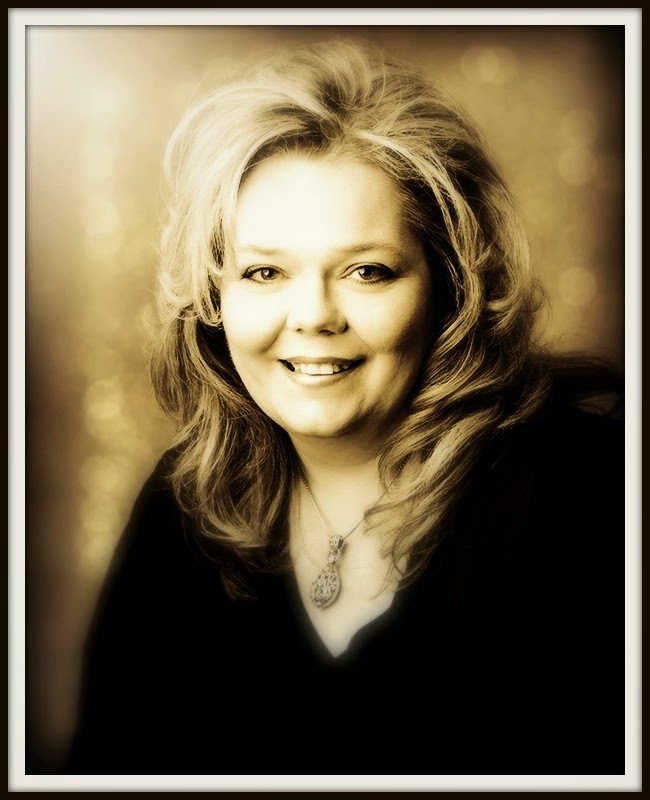 I am very excited to tell you I am the Guest Designer over on the Spellbinder Blog today! 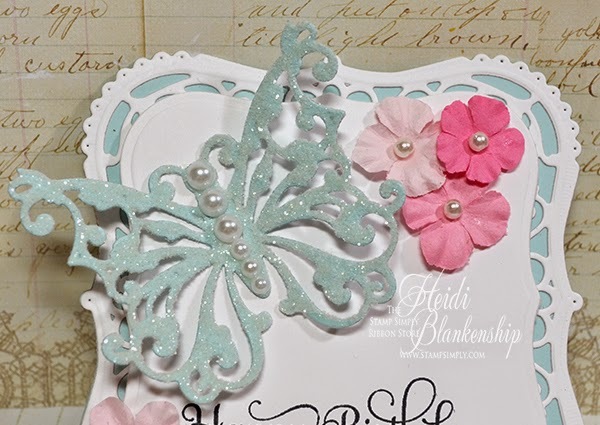 I have a card with a full step-by-step tutorial to share with you. 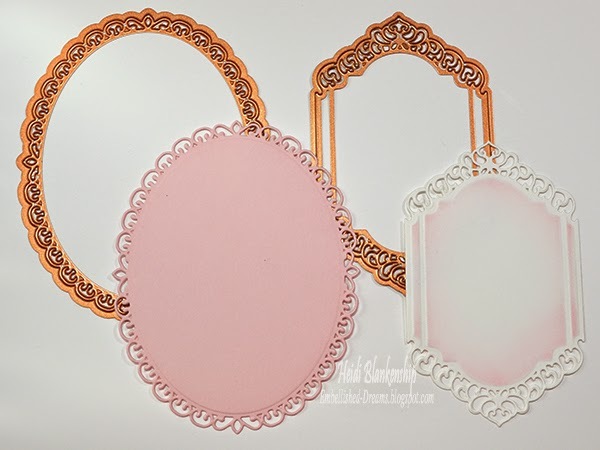 When you are done checking out the tutorial I hope you will hop on over to the Spellbinders Blog and check out the post--you will have a chance to Win all of the die templates I used to create my project! Be sure to click on the contest link at the bottom of their blog post. There is even a little Q & A interview! 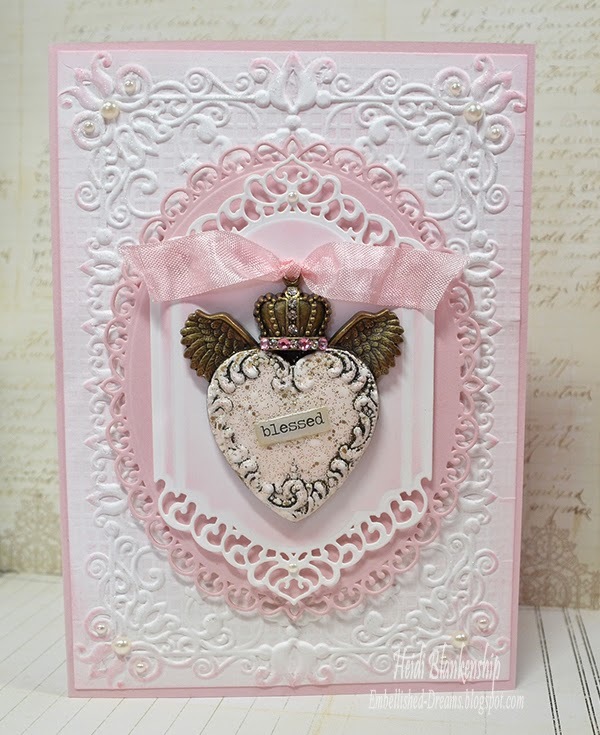 Here is the card that I designed using some of the die templates, an M-bossailities folder, and one of the gorgeous metal pieces from A Gilded Life by Spellbinder Paper Arts®. To start I carefully applied Versa Mark™ ink to the heart shape on the GL2-010 Love Wings – Gold metal piece. 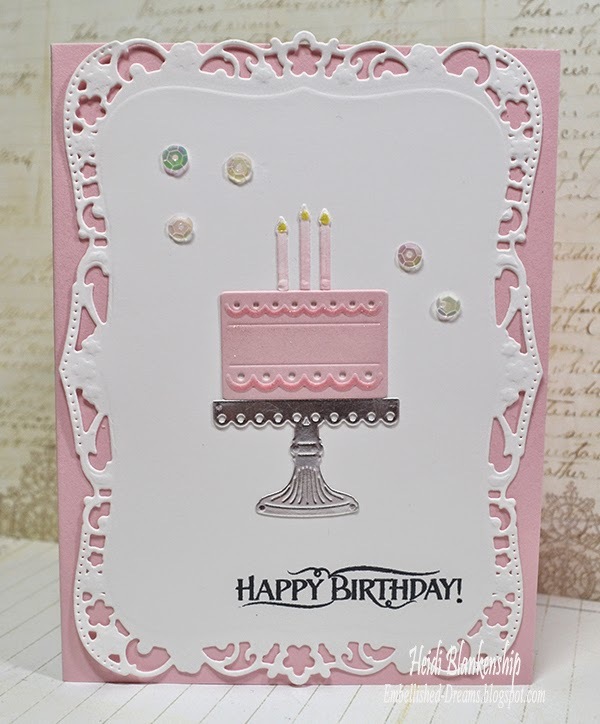 Then I added Stampendous Fran-tage Shabby Pink Pastel Embossing Powder and heat set with a heat tool. 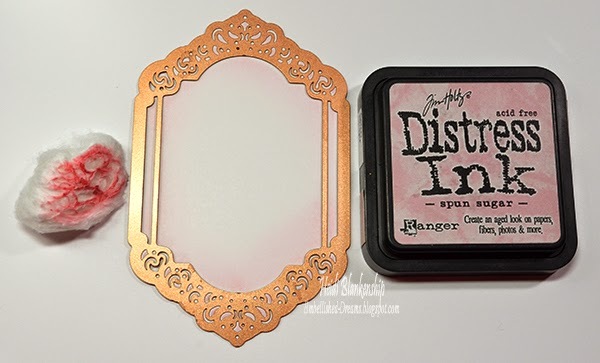 I love this embossing powder for this technique because it has a few different colors, fine and very chunky embossing powders and glitter. Once the metal piece was completely cooled I applied glossy accents. Here is a close up. I also added some Clear SS8 Pointy Back Crystal Rhinestones and Pink Flat Back Rhinestones from ButterBeeScraps. I used glossy accents to adhere the rhinestones. I also added a word block (not shown in this picture) that I typed up using an old typewriter font and then fussy cut and added more glossy accents on top. 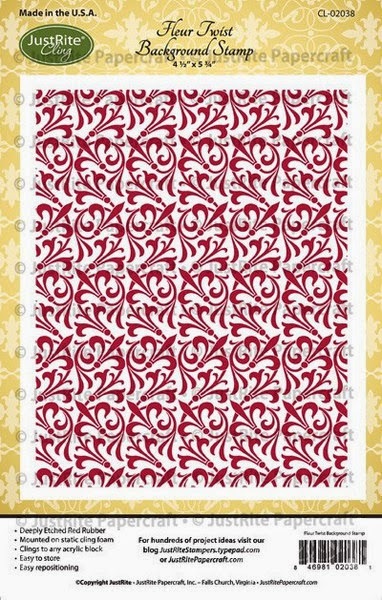 Next I created the mat that will be embossed for the background of the card. I used S6-001 5 x 7 Matting Basics A die template to cut the shape and then I lightly misted the front and back of the paper with water. 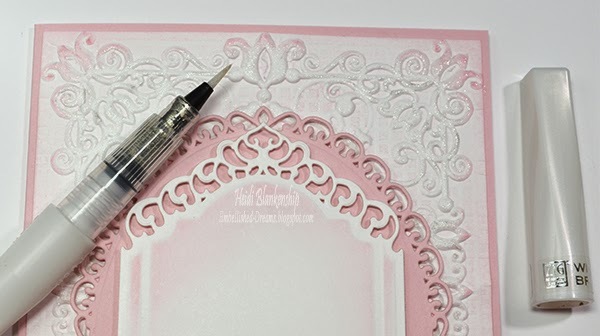 Doing this will break down the fibers in the paper and result in a very crisp embossed image. 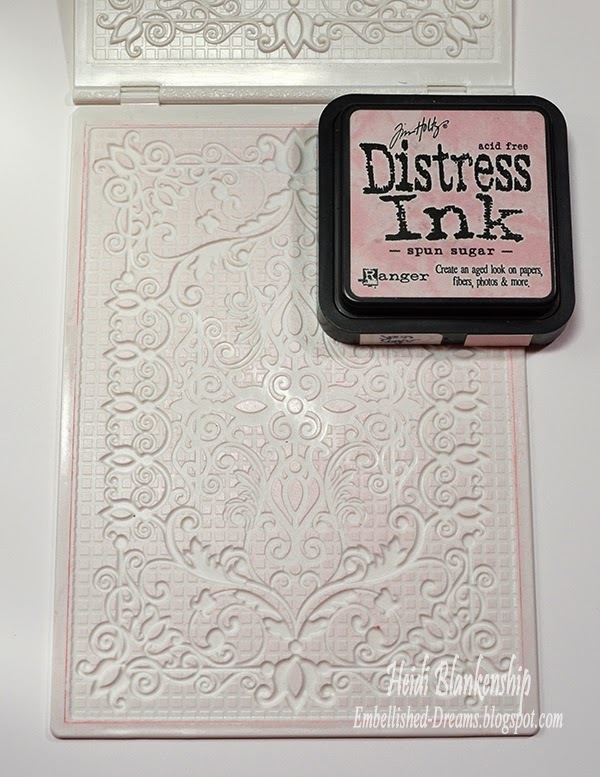 I used Spun Sugar Distress ink and applied it to the flat surface of the folder. 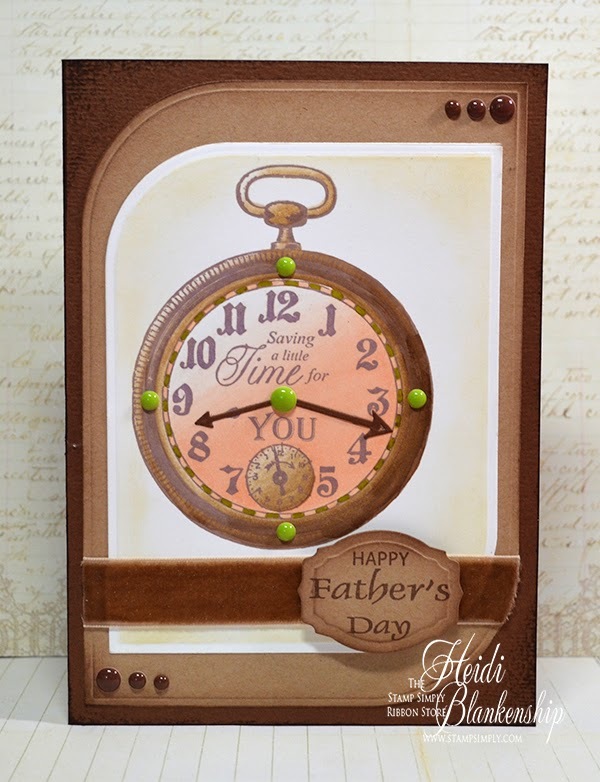 Then place the die cut mat piece inside the folder and embossing using the Grand Calibur® Machine. Doing this technique will result in a letterpress effect. Here is the paper after it was embossed. I also lightly inked around the edges with the Spun Sugar ink. 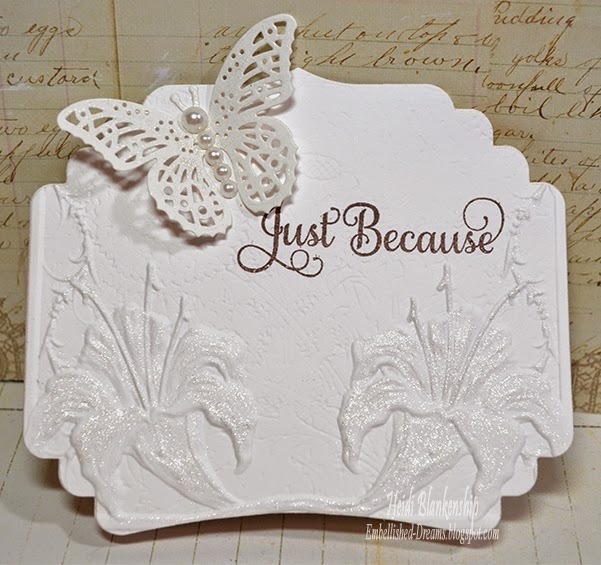 Next I used one of the die templates from the S5-218 A2 Devine Eloquence to create a die cut with simply smooth white cardstock. Before removing the paper I used the Spun Sugar in to stencil through the die template. These are the two die cuts I created using S4-425 Elegant Ovals and S5-218 A2 Devine Eloquence die templates. To remove all of the little paper bits I used the New T-001 Tool N’ One. This is a handy little tool for removing all of the tiny paper bits from the die templates. Once the mat and all of the die cuts were complete I assembled the card using pink lemonade cardstock for the base of the card. Then I layered the die cuts. I used 3D Foam Squares, E-Z Runner® Permanent Strips-Refillable Dispenser 49' from Scrapbook Adhesives by 3L™ to adhere all of the pieces. I used the Zig Wink of Stella Clear Glitter Brush Pen to add some sparkle to the embossed areas on the mat. Here is a close up of the of the beautiful embossed metal piece once it was added to the card front. I also tied on a small piece of Pink Seam Binding from The Stamp Simply Ribbon Store. 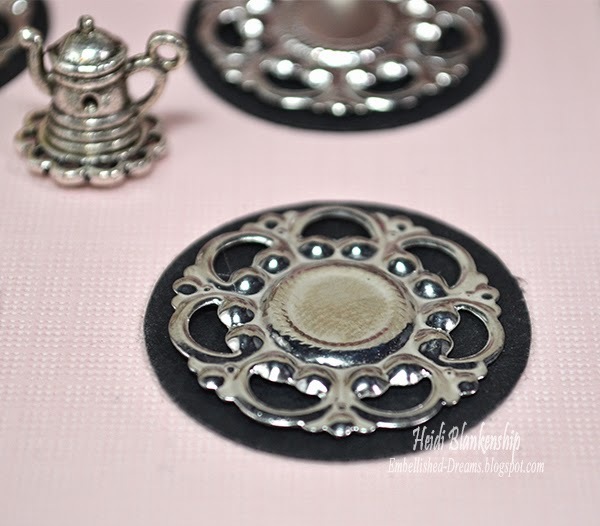 I love the aged, shabby, vintage look of the metal piece with the embossing powder and the rhinestones! Here is another look at the finished card. I hope you enjoyed the tutorial and the techniques. 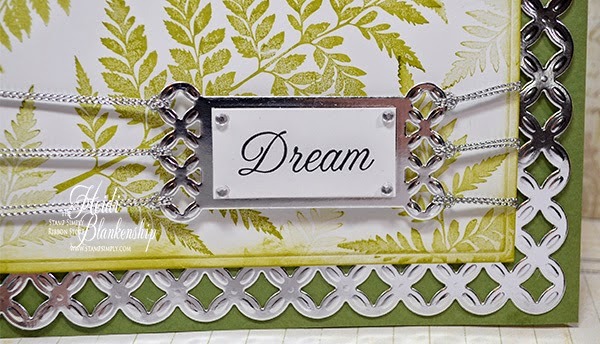 Don't forget to hop on over the the Spellbinders Blog and enter the giveaway! Thanks so much for stopping by today and I hope you have a wonderful holiday weekend! Hello blogging friends! Today, I have another CAS (Clean And Simple) card to share with you. I created a shape card using S4-419 Labels Thirty-Seven die template from Spellbinders Paper Arts®. Then I used the E3D-015 Tiger Lilies M-bossabilities Folder to emboss the front of the card. I placed the die cut on the bottom half of the embossing folder and lined it up so the lilies would be on the bottom part of the card front. 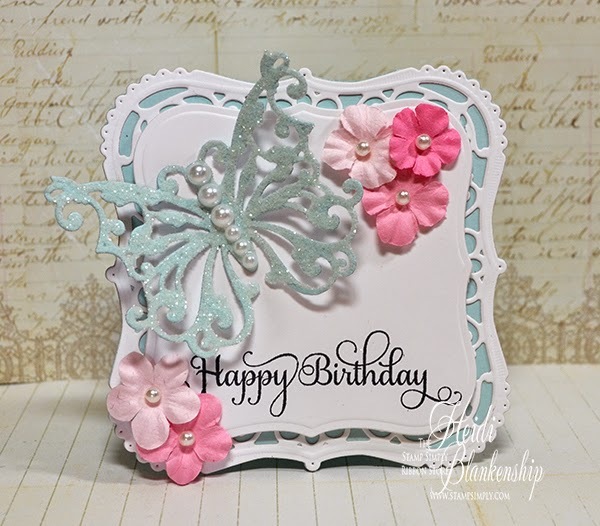 For the butterfly I used S2-073 Flutters die template. 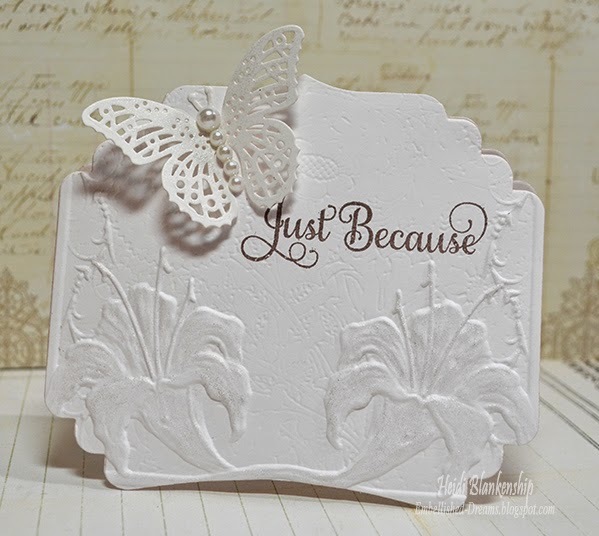 The sentiment is from the CR-03885 Grand Sentiments Clear Stamp Set from JustRite® Papercraft. I used my Zig Wink of Stella Clear Glitter Brush Pen to add some sparkle to the lilies and the butterfly. For the body of the butterfly I used 4mm White Pearls from Em's Emporium. I hope you enjoy today's CAS card. Hello everyone! Today, I have a CAS (Clean And Simple) birthday card to share with you. 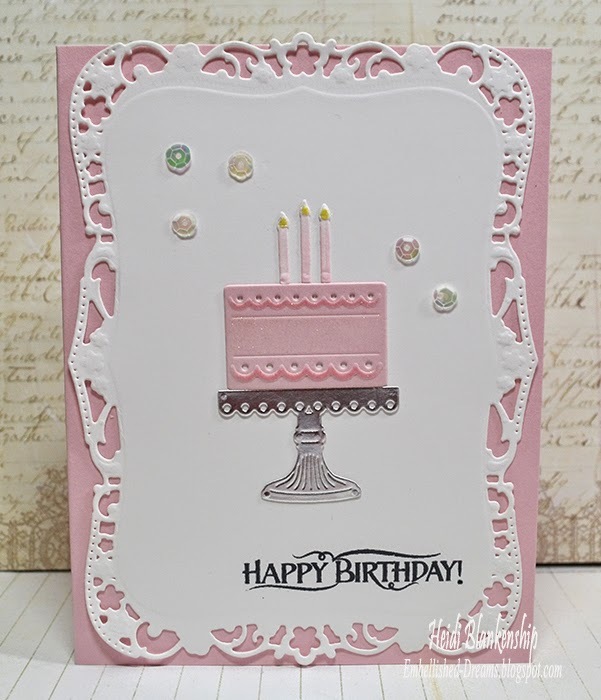 Just a little bit of stamping and a few die cut and you have a sweet birthday card. I had to add a little something for sparkle so I added a few sequins and I used my Zig Wink of Stella Clear Glitter Brush Pen on the candles and frosting on the cake. Here is a close up. All of the supplies are listed and linked below. This is perfect for when you need a really quick card 5-10 minutes tops. If you want to dress it up a little more you could add some embellishments, flowers or ribbon. Hello everyone! 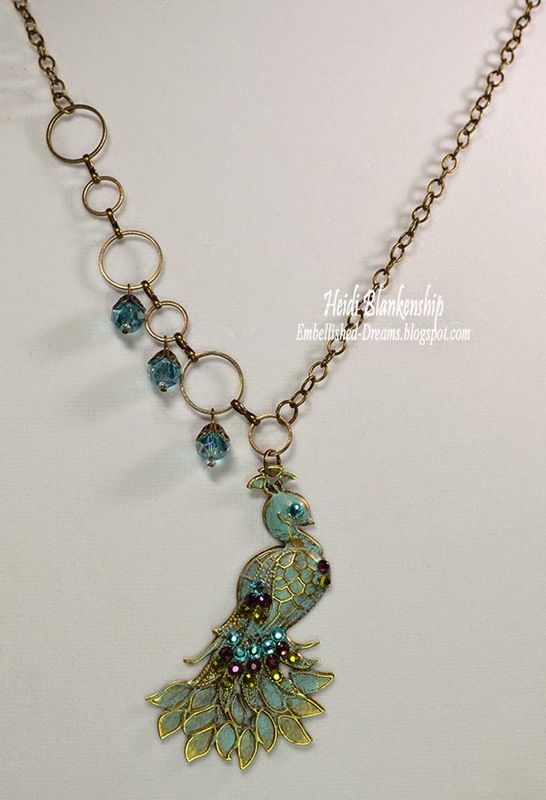 Today, I have a fun and blingy necklace to share with you. 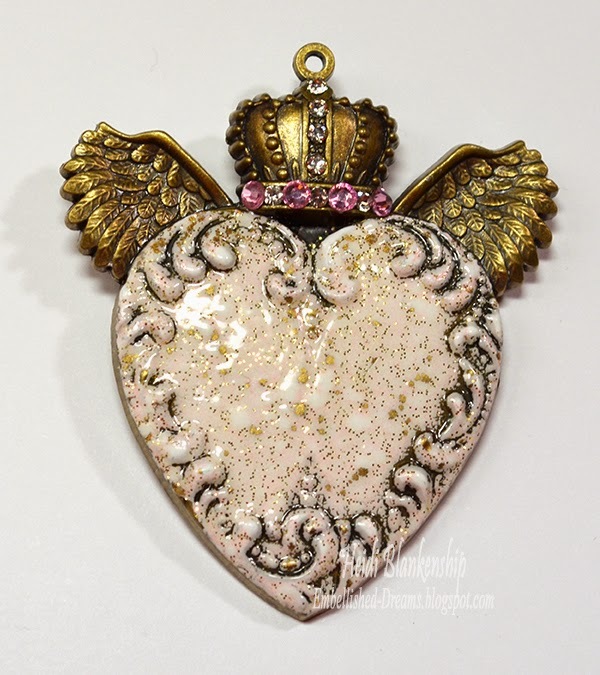 Most of the products I used to create the necklace are from ButterBeeScraps. This is a jeweled peacock necklace that I designed. I told you it was a fun and blingy one LOL! Peacocks and the beautiful colors of the peacock feathers are so trendy right now. I love the aqua color! I started with one of the Bronze Filigree Peacock Embellishment (Item #285) and I applied Patina Rub-N-Buff to the entire piece. I let it sit for a few seconds and then I buffed of some of the color to reveal the bronze detail. Next I used a Krylon clear spray to seal the piece. Then I added the SS12 Aquamarine Flat Back Glass Rhinestones, SS12 Amethyst Flat Back Glass Rhinestones, SS12 Olivine Flat Back Glass Rhinestones using E6000. Here is a close up. I used two different styles of chain--Bronze Chain and a bronze loop chain and I used Bronze Jumps. 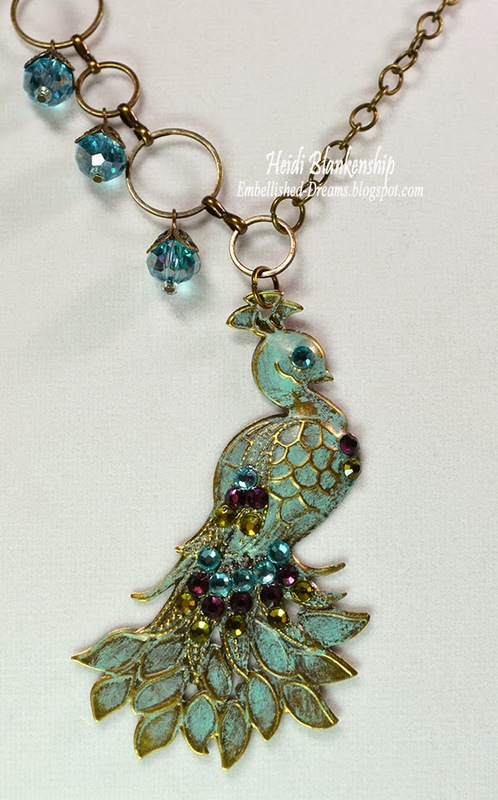 I made some little bead dangles using clear seed beads, aqua crystal beads, and Bronze Filigree Bead Caps (Item #CAP052-B). 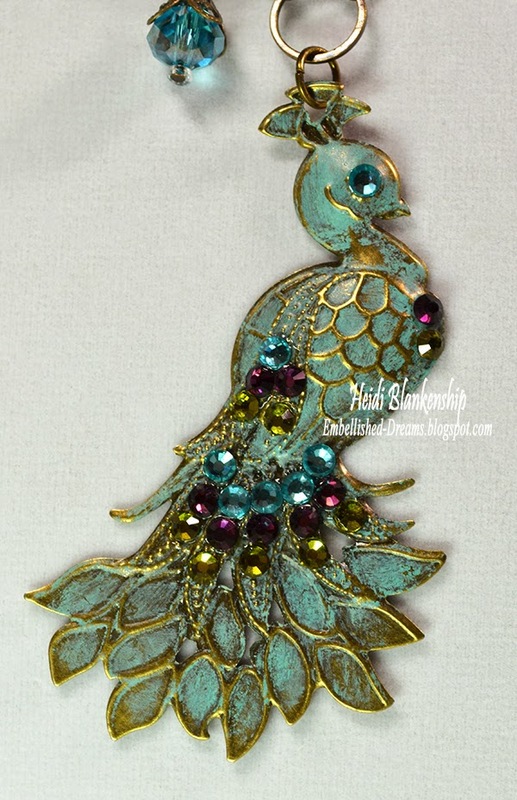 Here is another close up of the peacock and all the beautiful rhinestones. Thank you so much for stopping by today! I hope you like the necklace and it inspires you to create some jewelry. Please be sure to check out ButterBeeScraps on Zibbet, Facebook, and YouTube! Oh and don't forget about the BBS DT YouTube channel. Be sure to subscribe so you don't miss any of the inspiration from the Design Team. Hello and Happy Monday! I hope everyone had a wonderful weekend. 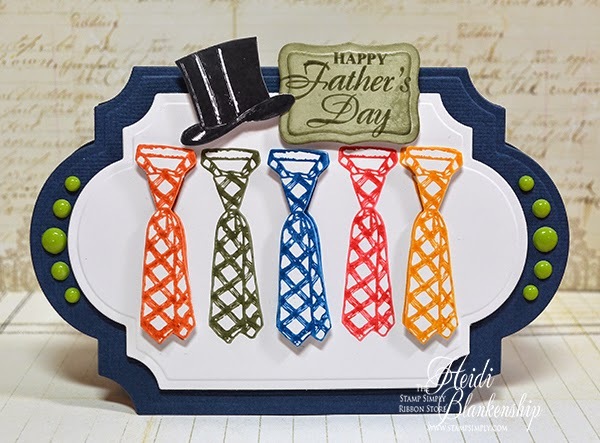 It's my day to post for The Stamp Simply Ribbon Store and today I have another Father's Day card to share with you. 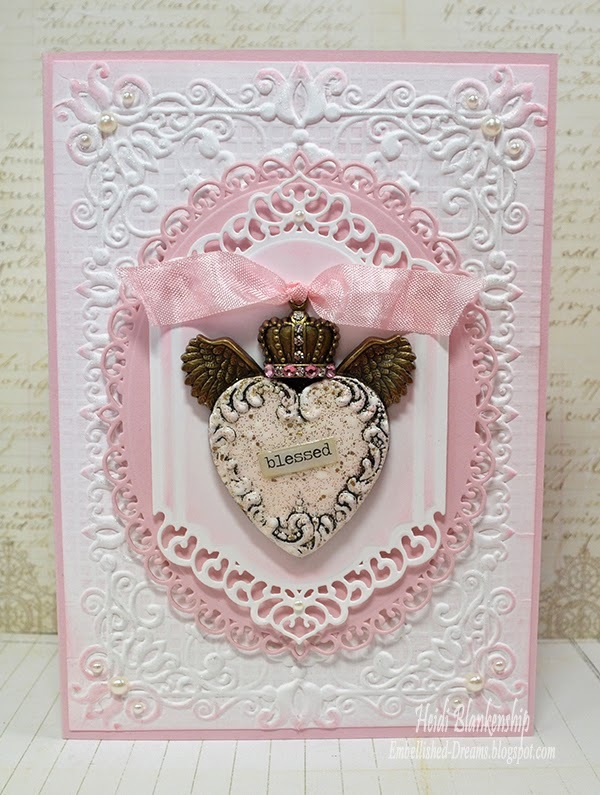 I used the S5-127 Labels Twenty-Eight die template to create the shape card. Then it was just a little bit of stamping and fussy cutting and the card came together pretty quickly. 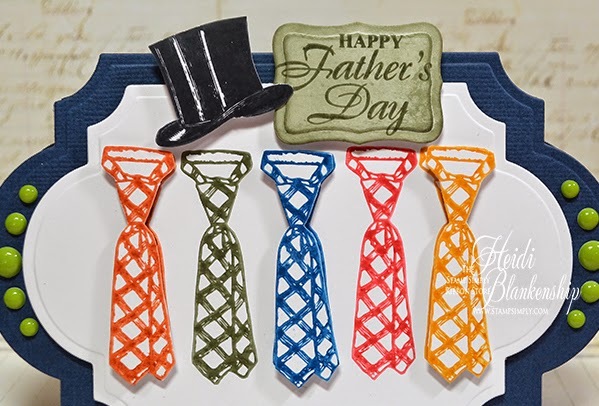 I used several colors of ink (listed below) to stamp the tie. The stamp image is from the JustRite® Papercraft CR-04850 Haberdashery Vintage Labels Five Clear Stamps set. I stamped three of the ties again and fussy cut them and then added 3D Foam Squares to pop them up. I also stamped and fussy cut the top hat image. 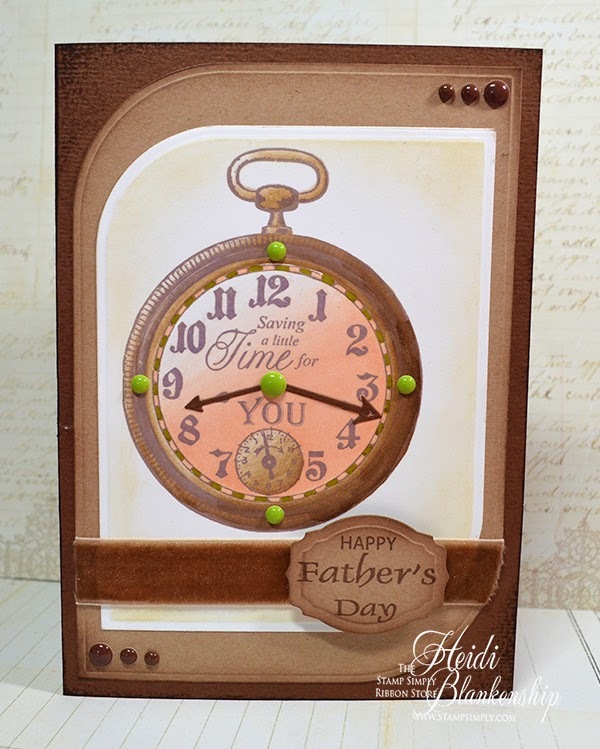 The sentiment is from the same set and I used Olive Grove ink to stamp it and color the cardstock. Then I used S5-019 Labels Eight to make a die cut with the sentiment. For embellishments I kept it pretty simple and just added a few Prima All Star SugarDot. I hope you enjoyed this quick and easy Father's Day card today. Hello everyone! It's time for another Tutorial Tuesday with JustRite® Papercraft. For the video tutorial I show you step-by-step with screen shot images How to Manipulate SVG Files in your Cameo from JustRite Papercraft. 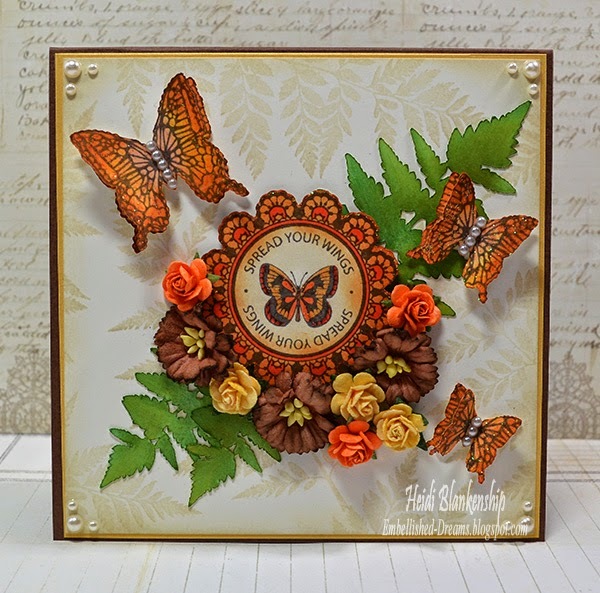 I created a beautiful butterfly card using CL-02034 Butterflies Cling Stamps, CL-02036 Fern Cling Stamps and the coordinating SVG Files SVG-02034 SVG Butterfies Digital Cut File Download for CL-02034 and SVG-02036 SVG Fern Digital Download Cut File for CL-02036 all from JustRite® Papercraft. Here is the card I designed. In the tutorial I share how to Open, Move, Ungroup, Copy, Resize, and How to use more then one SVG File at a time. 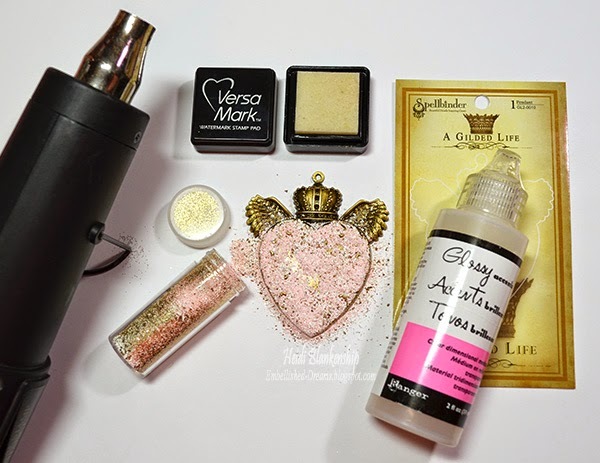 GIVEAWAY on the JUSTRITE INSPIRATION BLOG!!! This week's Tutorial Tuesday Giveaway - please leave a comment here on the JustRite Blog Post or on Heidi's YouTube Video telling us what craft project you are currently working on and what item is currently at the top of your craft wishlist. One lucky winner will win both of the stamp sets Heidi used in her card CL-02034 Butterflies Cling Stamps, CL-02036 Fern Cling Stamps. Comment on both the post and the YouTube Video to double your chances of winning. Show Heidi how much you enjoy her video by hitting the thumbs up button on her video. Your comments and likes are greatly appreciated. Hello and Happy Monday! I hope everyone had a wonderful weekend and a very Happy Mother's Day! Now that Mother's Day is past it won't be long and we will be celebrating all of the Dads with Father's Day so today I have a card that would be perfect for the occasion. 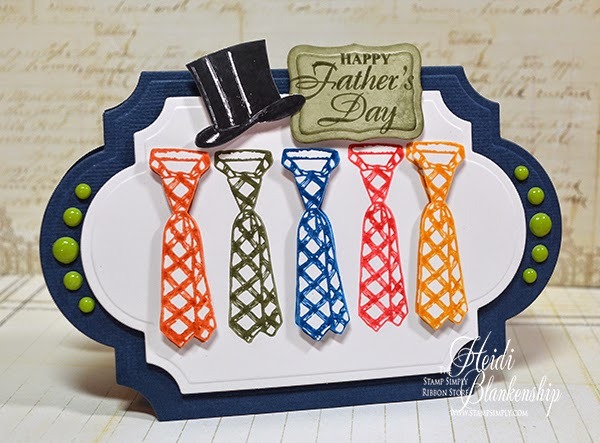 I used several products from The Stamp Simply Ribbon Store to create my Father's Day card. Here is the card I designed. 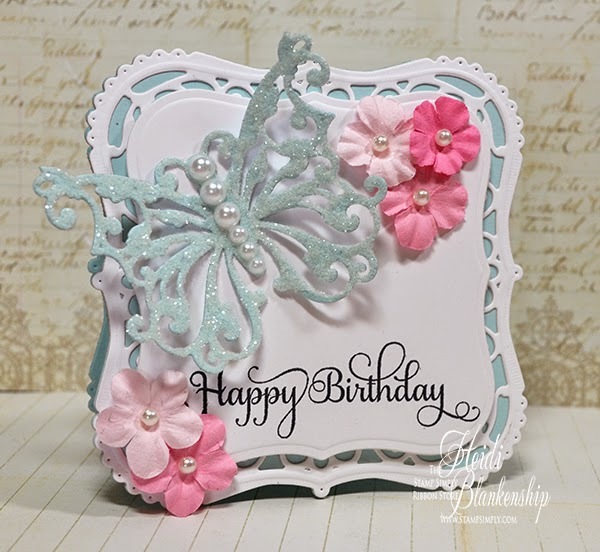 It's kind of a CAS (Clean And Simple) card and if you change out the sentiment it would also work for a birthday card. 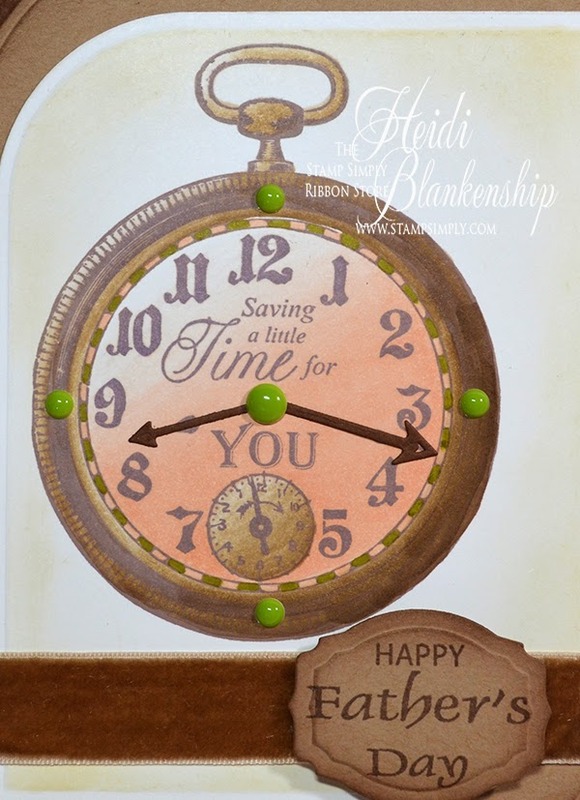 I stamped the image of the clock from the JustRite® Papercraft CL-02003 Time For You Cling Stamp Set using Imagine Crafts/Tsukineko Memento Rich Cocoa ink and then used Chameleon™ Color Tone Markers to color the image. I used S5-219 A2 Modern Stationary and S6-013 5 x 7 Modern Stationary to cut and emboss the mats and I lightly inked around the edges. To create the clock hands I used a couple of the arrows from the IN-015 Shoot! die template set. The sentiment is from the CR-03710 Anchors Away Clear Stamp Set and I used S4-418 Labels Thirty-Six to cut and emboss the label shape. To embellish the card I used some May Arts 3/4" Velvet - By the Yard Brown Velvet and a few brown and green Prima All Star SugarDot. I hope you enjoyed this quick and easy card today. Dies: Spellbinders Paper Arts® S5-219 A2 Modern Stationary, S6-013 5 x 7 Modern Stationary, S4-418 Labels Thirty-Six, IN-015 Shoot! Hello and Happy Monday! I hope everyone had a great weekend! 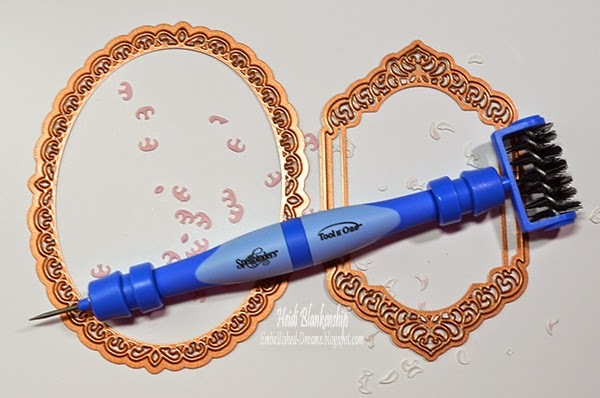 Today, I have a project to share with you using several products from The Stamp Simply Ribbon Store. Here is the card that I designed. It was a very quick and easy card to create. I used one of the die templates from the S6-002 5 x 7 Matting Basics B set and LaBlanche Specialty Stamping Paper to cut/emboss a rectangle shape. 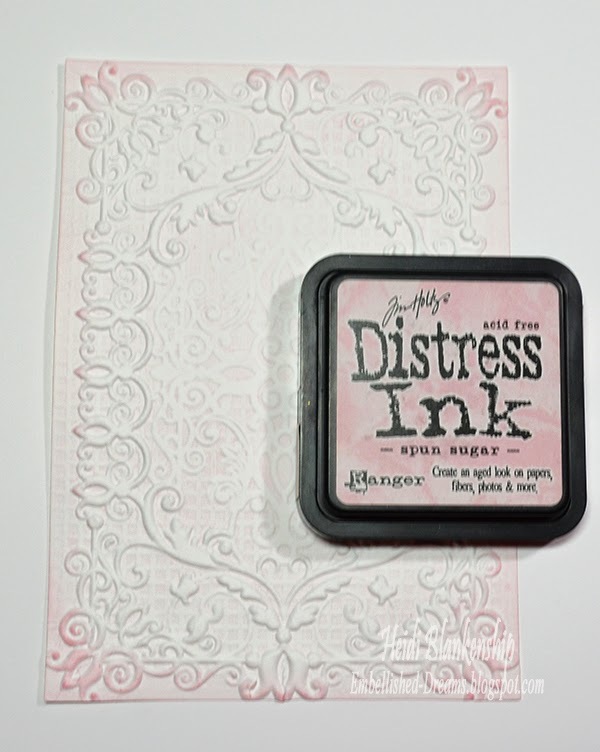 Then I used Tim Holtz Distress Ink Peeled Paint to randomly stamp the image of the fern. I stamped a fern a few times in between inking to get the lighter color tones. The fern is from the CL-02036 Fern Cling Stamps from JustRite® Papercraft. Then I inked the edges of the paper. Next I used Bazzill Mirror Silver Cardstock and S6-007 5 x 7 Fanciful Lattice to cut/emboss the decorative rectangle shape for the large mat. 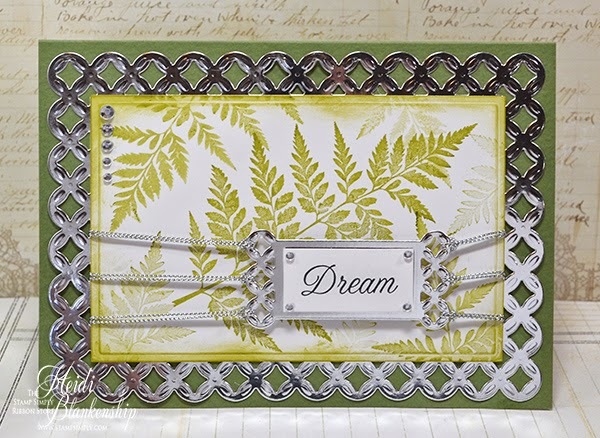 Then I stamped the word dream from the same stamp set on to LaBlanche Specialty Stamping Paper and used the smallest die template in the S6-007 5 x 7 Fanciful Lattice set to cut out the decorative shape. I fussy cut the center rectangle and then I made another die cut with the stamp die and Bazzill Mirror Silver Cardstock. 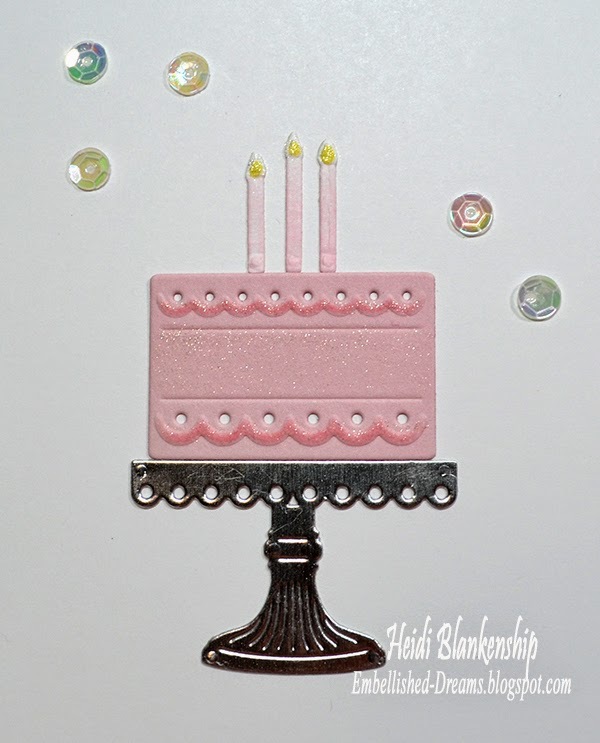 I used 3D Foam Squares from Scrapbook Adhesives by 3L® in between the paper layers. Here is a close up of the sentiment. Then I added May Arts Silver Metallic String and a few Kaisercraft Silver Rhinestones. Hello everyone! Today, I have another New Release from JustRite® Papercraft to share with you. This stamp set also has a coordinating SVG Cut File. 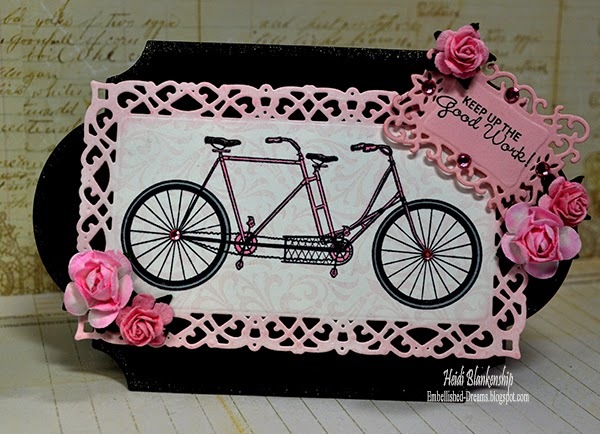 Here is a the card that I designed using both the CL-02032 Bicycle Built for Two Cling Stamps and CL-02038 Fleur Twist Background Cling Stamp from JustRite® Papercraft. 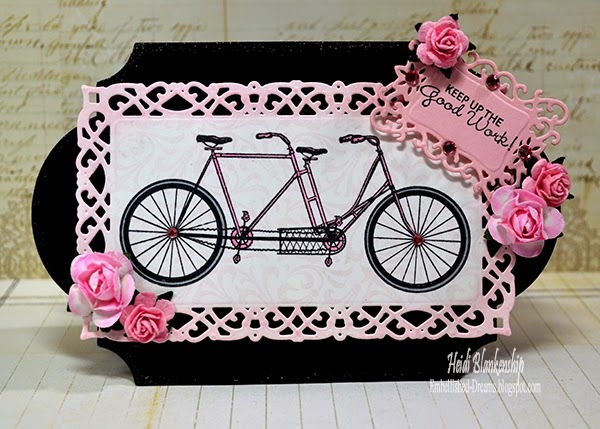 I stamped the background image using Spun Sugar Distress Ink and then I stamped the image of the bicycle using Tuxedo Black Memento Ink. I used Spectrum Noir™ Markers PP4 and GG2 to color the image and then I added a little glittery sparkle using the Zig Wink of Stella Clear Glitter Brush Pen. 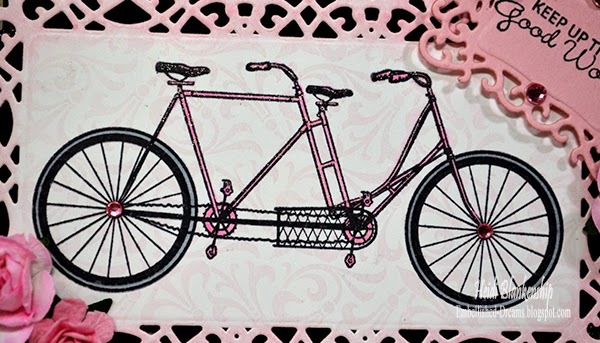 I used S5-211 Romantic Rectangles Two to die cut the image of the bicycle and inked the edges of the paper with Spun Sugar. For the sentiment I used Tuxedo Black in and stamped on to pink card stock. Then I used S5-148 Decorative Labels Eight to create the die cut. For the card base I used black cardstock and S5-127 Labels Twenty-Eight to create a shaped card. Here is a close up of the bicycle. I added a couple of tiny pink rhinestones. 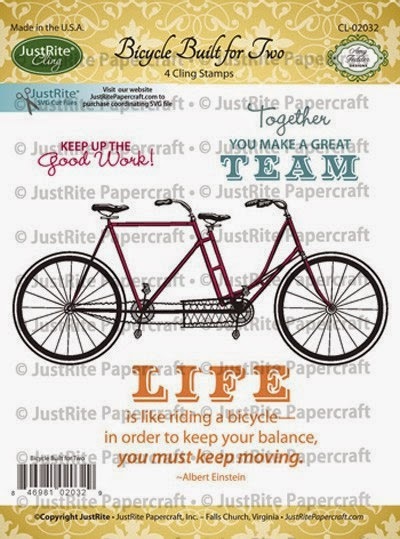 I hope you enjoyed all of the fantastic new stamps and SVG cut files in the JustRite® Papercraft May Release! Please be sure to visit all of the designers in the link list below to see what they have to share with you.